According to Mr. Mwinyikione Mwinyihija chairman of Kenya's Leather Development, growth of per capita consumption of footwear in many developing countries and the global population projection of 10 billion people within 20 years will exert a strong pressure by footwear consumption of any material. "Demand could be 25 billion pairs a year," he says , "and in the leather industry we have to honor the leather under all circumstances." Although the contribution to 26% of tanning products globally, but Africa is just over 3% gain from the industry profits worth up to 300 billion dollars. Recently the government in this continent have come together to join hands to turn the call countries in the region became unified supply chain products in the world's second largest skin, thereby increasing benefits the industry's economic potential infinity. Rwanda is missing out on over $170 million per year from exports of finished leather products for not having factories that process hides and skins into fine leather. However, the larger East African community suffers the same fate. According to participants at the recent meeting of COMESA Leather and Leather Products Institute, the East African Community has continued to under-exploit its leather industry despite increasing local demand for leather products. COMESA Leather and leather products institute director Mwinyikione Mwinyihija said Ethiopia is the only country in Africa that has policy frameworks that could boost the leather industry. An Ethiopian enterprise engaged in production and export of footwear, owns a five-year strategic plan that enables it move production and capacity forward.The Common Market for Eastern and Southern Africa (COMESA) prepared the document, which is the first to be made for the private sector. According to Executive Director of COMESA Leather and Leather Products Institute (LLPI), Mwinykione Mwinyihija, the Institute has been preparing such documents for government organizations. The 8th All African Leather Fair was launched on Friday where M. Mwinyihija (PhD), executive director of Leather and Leather Products Institute at the Common Market for Eastern and Southern Africa (COMESA), said that African accounts for only two percent of the worldwide leather business which makes generally a turnover of about USD 300 billion annually. 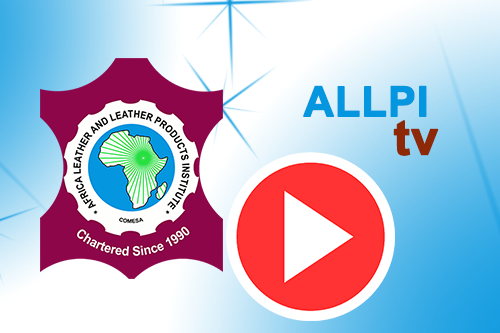 Mwinyihija alluded to the fact that Ethiopia is the only nation in Africa which has furnished the proper policy framework for the leather sector to flourish. According to participants at the recent meeting of COMESA Leather and Leather Products Institute, the East African Community has continued to under-exploit its leather industry despite increasing local demand for leather products. Leather producers in Eastern and Southern Africa have traditionally exported raw hides which have a limited value but a new design studio that opens today in Mombasa, Kenya promises to advance the leather market. Providing artisanal skills and fashion design expertise, the studio will boost the industry by opening up new business opportunities for the production of high-end leather goods.